Recently Google released a preview of the Android 3.0 Honeycomb SDK, and the guys over at Ars Technica have been taking a look at the new user interface in the tablet version of Google’s Android OS. The Motorola Xoom tablet will be one of the first tablets to use Android 3.0, so this preview gives us a look at what the UI will be like on the Xoom and other tablets. The picture above is of the Honeycomb home screen, which as you can see features a range of scrolling widgets, and is designed to show off much more content that any of the home screens we have seen in previous versions of Android. 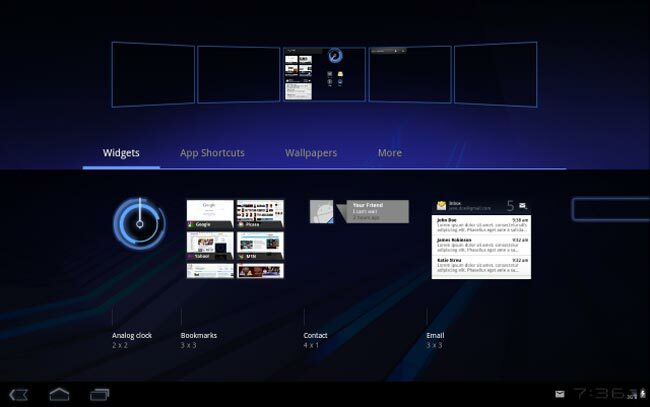 As you will see in the photo below, you will be able to have up to five different home screen in Android 3.0 Honeycomb, and each one can be customized with a range of widgets and apps. 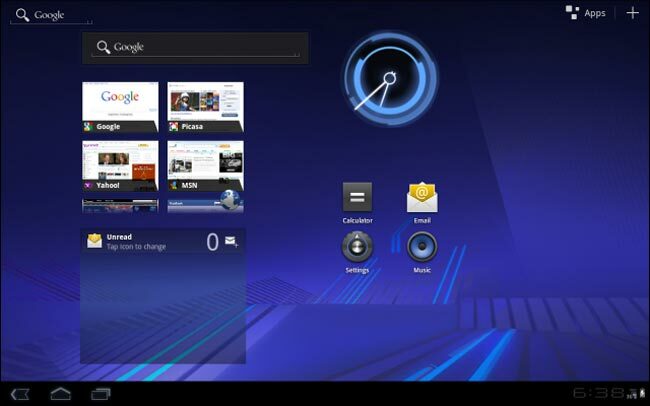 Head on over to Ars Technica for lots more photos and details of what the Android 3.0 Honeycomb UI will look like.